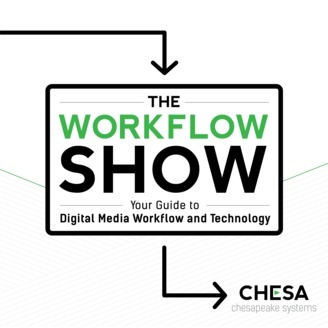 On The Workflow Show, Chesapeake's Jason Whetstone and Nick Gold address overarching trends and specific tech topics to help guide you through these challenging yet exciting times of unprecedented change within the realm of digital workflows. Chesapeake Systems is a full-service provider of technology systems and solutions that specializes in optimizing media workflows from creation to distribution and preservation. Chesapeake’s expert architects design pioneering asset management solutions that enable creative teams and drive efficiencies in IT, all backed by steadfast customer support. Dedicated to building long-term relationships as trusted partners, Chesapeake offers a rare level of passion and understanding in the design, development, deployment and maintenance of secure, high-performance media asset management solutions (MAM/DAM/PAM); storage, backup and archival systems; workflow automation; cloud platforms; media transcoding and delivery; and API integration, among other services. What areas require training in today's post-production environment? Learn more on The Workflow Show. 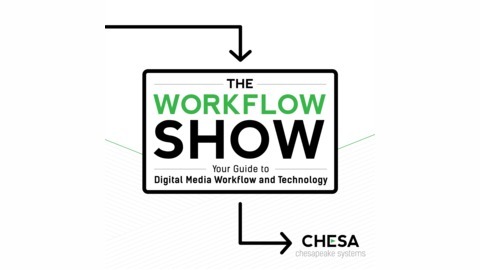 The post The Workflow Show #35 “Training in Post Production” appeared first on Chesapeake Systems. The Workflow Show #402 "File Transfer Acceleration with FileCatalyst"